Properties in Stockholm University (Stockholms universitet) average 4.3 out of 5 stars. Property 33: Wonderful turn of the century apartment in prime location. 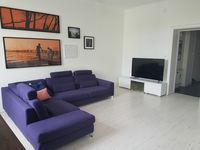 Property 42: Close to Stockholm, outdoor pool and sea. 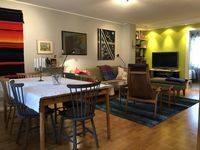 Property 50: Welcome to a topstandard apartment next to the famouse Hornsberg Riviera! Highly recommended. Ann is a super nice host. She showed us around the house and how to use the equipments. Before arriving into Stockholm, she also shared key essential info to get to the apartment. Warm and nicely decorated home decked with books and paintings and videos.